Travelers who arrive at the West 4th Street subway station in Greenwich Village intending to exit at West 4th Street will be surprised to find that the subway station actually does not have an exit to its namesake street. 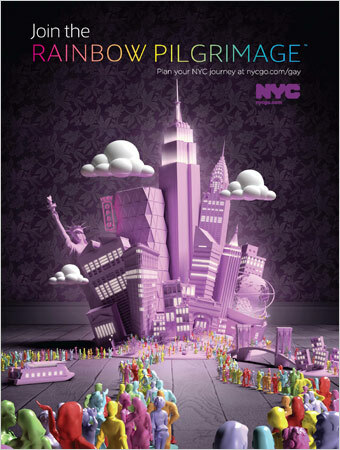 Exits are only available at West 3rd Street or at West 8th Street. For such a large and bustling subway station, these two exits are relatively small and provide limited access to the street from the station. Where is the W 4th Street exit? Why is the West 4th Street station named for a street to which it does not actually provide access? 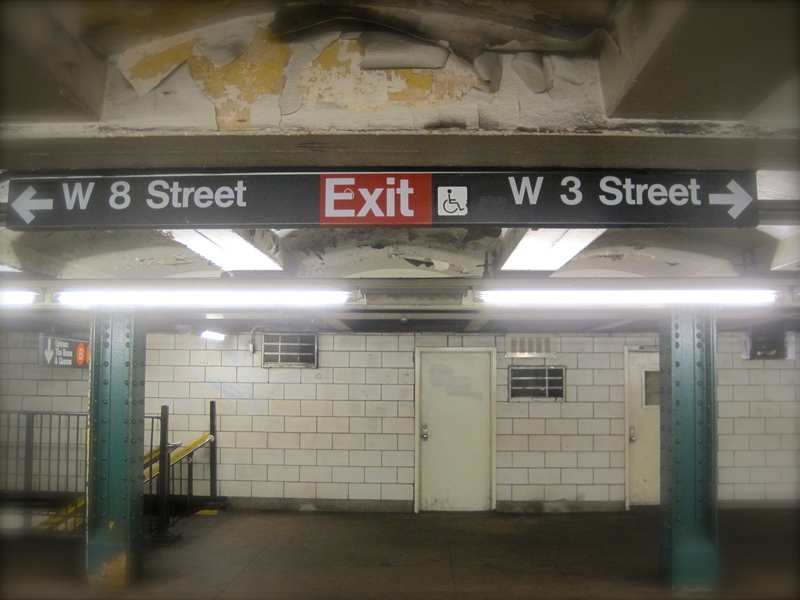 The relatively few exits in the West 4th Street subway station illustrate the original intention of the subway station. The West 4th Street station was intended to be a major transfer point to connect to other subway lines. 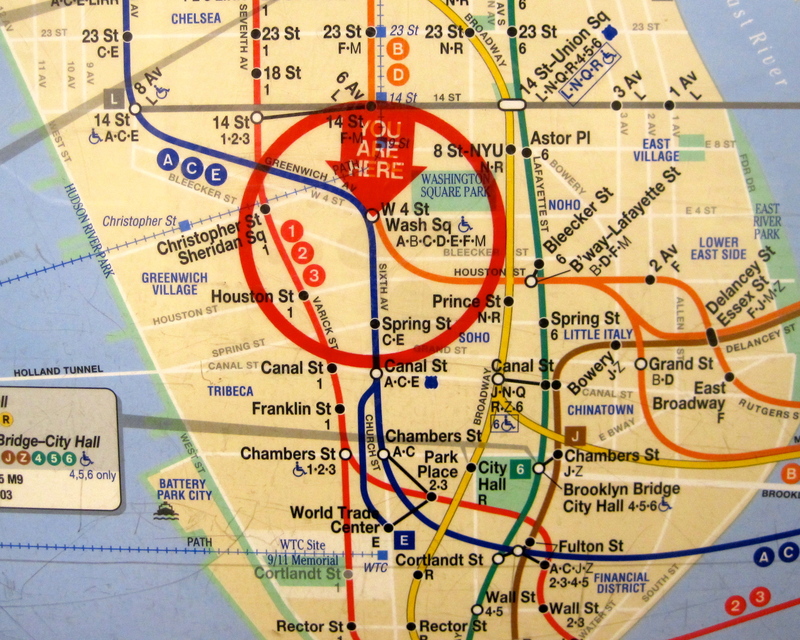 The West 4th Street station was originally built with the intention of connecting Manhattan’s two Independent Subway System (IND) trunk lines – the 8th Avenue Line (A, C, E) and the 6th Avenue Line (B, D, F, M). The IND Subway System was the last of three individual subway systems in Manhattan and was built to be “independent” of the IRT and BMT lines. The IND contributed six major lines to the larger, unified subway system that exists today. The West 4th Street station has been a part of the IND Eighth Avenue and IND Sixth Avenue Lines since their inceptions. The upper level of the West 4th Street subway station opened on the same day as the IND Eighth Avenue Line made its maiden voyage – September 10, 1932. The lower level of the West 4th Street station opened when the construction of the IND Sixth Avenue Line was completed, in December of 1940. 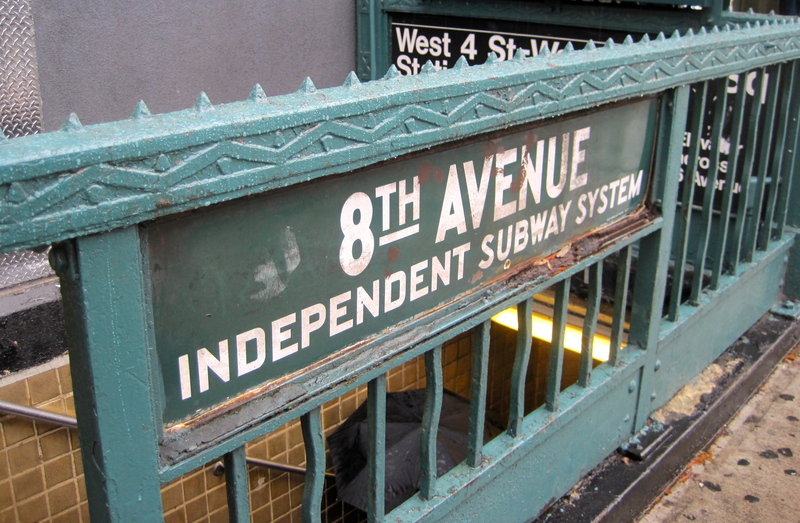 The original IND 8th Avenue sign still marks a station entrance. The West 4th Street station is therefore intrinsically tied to the IND system and to the two lines that has been serving for almost one hundred years. The goal of this subway station was always to facilitate transfers between the two IND lines. 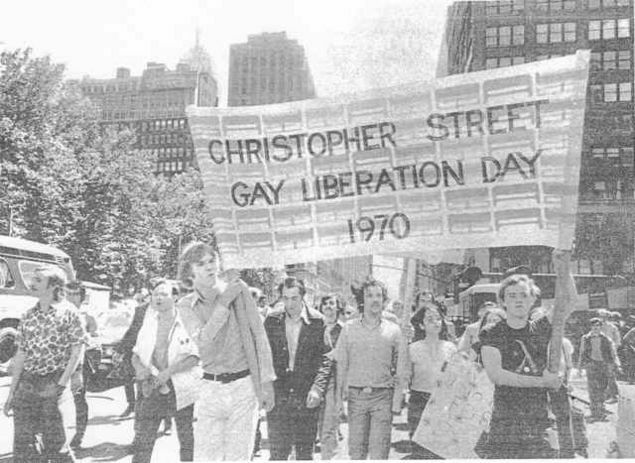 People whose intended destination was West 4th Street were an afterthought. Rumor has it that there used to be direct exits to the street from the middle-level mezzanine of the station, which is no longer accessible to the public. This may explain why the name of the station highlights a street that is not actually accessible from either of the station’s two exits. The fact that these original exits were closed to the public further highlights that the main intention of the West 4th Street subway station was as a transfer point between the two IND trunk lines. Interestingly, the name of the West 4th Street station would probably be Fourth Street except that there was another IND Fourth Street subway station planned in South Williamsburg, Brooklyn. Because of these dueling Fourth Street stations, the Brooklyn station was called South 4th Street and the Manhattan station was called West 4th Street in order to differentiate them. Brooklyn’s South Fourth Street station was never completed, leaving the West 4th Street name as a curious remnant of an era of ambitious subway expansion as New York City’s transit systems grew.